North Star Fund is New York City's community foundation working to create a city rooted in the values of equality, economic justice, and peace. We inspire donors to give so that we can award grants for grassroots organizing and activism, building a community of progressive leaders in a broad movement to achieve lasting social change. Please describe your organization’s approach and process, explaining how it is different from conventional philanthropy. Springboard, a program of North Star Fund , is a hybrid between an activist-led grantmaking model and a giving circle model. The basic structure of Springboard consists of a cohort of 4-6 people that commit to the giving circle for one year, the majority of whom are affiliated with Resource Generation. The cohort goes through a series of workshops to learn about the role of donors in movements and shadow North Star Fund’s Community Funding Committee, the group of activists and community members who make funding decisions. The focus of the circle fits within North Star Fund’s broad grantmaking goals to support grassroots community organizing in New York City. The Springboard program acts as a leadership development and skill building opportunity for its members. The Springboard members shadow the Community Funding Committee (CFC) on site visits and during the decision-making process and do fundraising to compliment the funds granted by North Star Fund. The goal is for each member of the group to get 1-3 major gifts from people in their community as well as additional smaller gifts. The circle members learn how to make sit-down asks to larger donors and small gift fundraising through email. Half of the money raised by the Springboard group goes to general grantmaking at North Star Fund and the other half goes into the giving circle. Over the last two and a half years, three rounds of Springboard members have worked alongside North Star Fund’s Community Funding Committee during the North Star Fund grantmaking cycle. 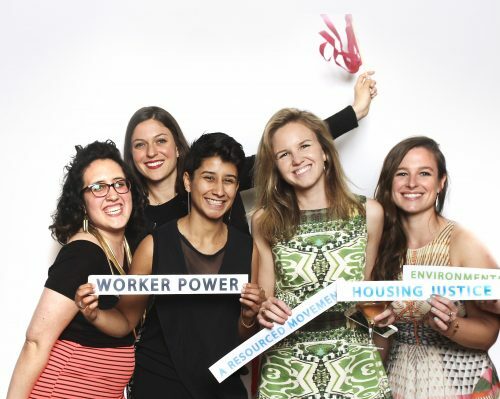 Through collective fundraising and decision-making, these three giving circles raised over $250,000 to support grassroots organizing groups in New York City. How do you do your grantmaking? North Star Fund’s standard grantmaking involves an open application process in the spring and the fall. CFC and Springboard members do site visits with about 25 groups per cycle and fund about 23 of the groups that are visited. At the end of the process there’s a grantmaking meeting and decisions are made collectively amongst the CFC members. At this meeting, Springboard members are present and can ask questions. Later, the Springboard group meets on their own to decide which of the groups that were funded by the CFC will receive the additional funding from Springboard. During this time, they often refer to the CFC for advice. Springboard members choose organizations to fund and these grantees receive an extra $5,000 or $10,000 grant depending on how much was raised. The benefit of doing it this way is that the grantees that get funded through Springboard get an additional grant without having to fill out an extra application. In the last round of Springboard the group raised $120,000 from 72 donors. There was a moment when your story began. How did your organization come to practice philanthropy in this way? The first time we did the Springboard giving circle was through a partnership with Resource Generation (RG). It was originally called the Revive Giving Circle. In the fall of 2012 a group of people from RG who had gone to MMMC approached North Star Fund and said they were interested in starting a giving circle. We did an initial round with five members. Then, in the spring of 2014 we did our first round of Springboard. It was formed as a partnership with the New York RG chapter and we made it into an official program of North Star Fund. We have been doing it this way since 2014. In the Spring of 2015, the New York RG chapter called North Star Fund and said they were inspired by the Movement for Black Lives and wanted to support black-led organizing in New York City. They knew North Star Fund had the expertise to find the right organizations and to set up an activist-led grantmaking process. 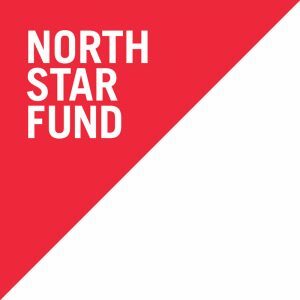 North Star Fund had already been getting calls from organizers asking for rapid funding to support the movement and from other donors who were interested. In response, North Star Fund created the Let Us Breathe Fund. Springboard alums put together a fundraising training for other RG members, and they organized the chapter to raise $30,000 for the fund. It was exciting to see how our goal of people developing skills and analysis was really being used in a smart and responsive way – they knew how to respond in this urgent political moment because of the training we’d provided. Have you ever been met with resistance or criticism in regards to Giving Circles? The main resistance we’ve faced has been from potential Springboard members. Those who strongly believe in activist-led grantmaking have expressed worry that by joining Springboard they would be imposing on the community funding process. They might worry that their role would enforce harmful power dynamics that are already so prevalent in philanthropy. Activist-led grantmaking is an essential part of how North Star Fund does our grantmaking and we believe it’s powerful for people from a diversity of class backgrounds to participate in grantmaking. Rather than shying away from this responsibility, we work with members to examine the contradictions inherent in people with class privilege making grantmaking decisions. During the program some participants have big questions. They assess the process and are actively engaged in unpacking questions of power and oppression. As it is now it’s not a cross-class giving circle, but there is relationship building and engagement across class through the CFC. We did this intentionally to create a space for people involved in RG to fundraise from their own communities. The question of whether or not this should be a cross-class giving circle is something we’re thinking about internally as we consider how to expand the model. From the grantee perspective we’ve had a lot of really positive feedback. They get an extra grant and don’t have to do a lot of extra work! When we started the program we were worried the CFC might have resistance because it changes the dynamics of the grantmaking process to have people with class privilege involved. We’ve learned the importance of the CFC understanding the role of the giving circle members and visa versa. This helps to build clear and strong relationships between the two groups. The site visits are an important way that Springboard members get trained by the CFC. The members of the CFC are all very mindful of how to be aware of power dynamics when on a site visit and this is very helpful for Springboard members as a part of the program. Outreach to get new Springboard members was a challenge, especially for the first couple of cohorts. It’s a big time commitment and people are often apprehensive about signing up for a program that involves fundraising. In recent cycles, we’ve found that it’s most effective to have Springboard alums recruit prospective participants and speak directly with them about their experience with the program. Fundraising is often challenging for participants. Because Springboard shadows the CFC we have to do the program on the timeline of the fall grantmaking cycle, which is a very tight turnaround. Fundraising can be a big time commitment- sometimes we need to spend a lot of time talking someone through multiple fundraising conversations, especially if they’re fundraising from a family member. To address this, we work on getting people to think about fundraising as soon they enter the program and provide one-on-one fundraising coaching throughout. What can you achieve through Springboard that might not be possible using conventional philanthropic funding models? Doing funding in this way allows us to build relationships. As a foundation with an activist-led grantmaking model, we already know the importance of strong relationships to doing effective and accountable funding. We found that relationships are just as central to the Springboard process — relationships amongst giving circle members and between members, the CFC, and North Star Fund. Building strong, connected networks of donors and organizers ultimately creates a stronger social justice movement in New York. The Springboard Giving Circle is a long-haul program. Doing a giving circle with young folks who are relatively new to philanthropy gives us the opportunity to shape the way they do their giving from a young age. Like with all kinds of organizing, effective donor organizing requires specific skills, support, and practice. We provide participants with practical experience with fundraising and building values-aligned relationships with their friends and families and knowledge about how and why to give to community organizing. This training will serve them as donors for the rest of their lives. Springboard is the beginning of a much longer journey for its members.